Within a few minutes you can reach any destination in the city, while staying in a comfortable location. You will have a tremendous view over the river and vineyards, the old bridge and the Castle Marienberg. You will never forget this picturesque view, and when you are back home, it will be a lovely reminder of Wurzburg. You will find very comfortable, modernized, non-smoking rooms, each with a shower, toilet, radio, television and telephone. Best Parking is available in the immediate vicinity: Kranengarage (25 meters), Marktgarage (100 meters). 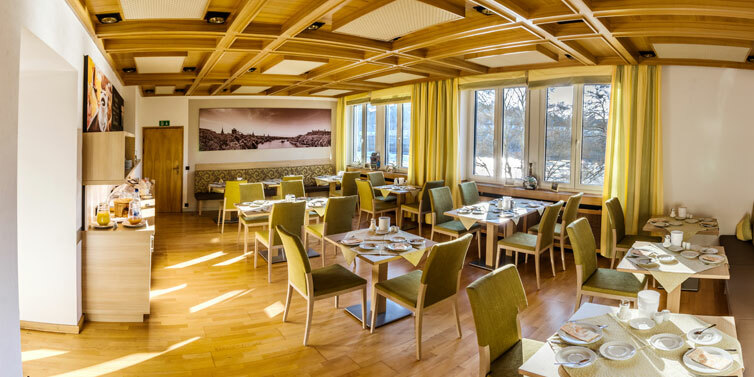 We are pleased about the award of the Bavarian Hotel and Restaurant Association DEHOGA Bayern e.V., which has awarded our hotel with 3 stars in 2018. Bavaria's Minister for Economic Affairs and Tourism Franz Josef Pschierer and the President of DEHOGA Bavaria, Angela Inselkammer, present the certificate. 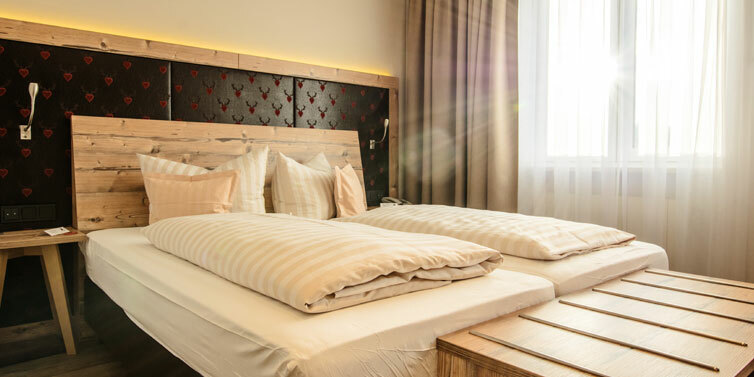 Together with our partner neubert XXXL HOTEL FACILITIES we have renovated six rooms for you. 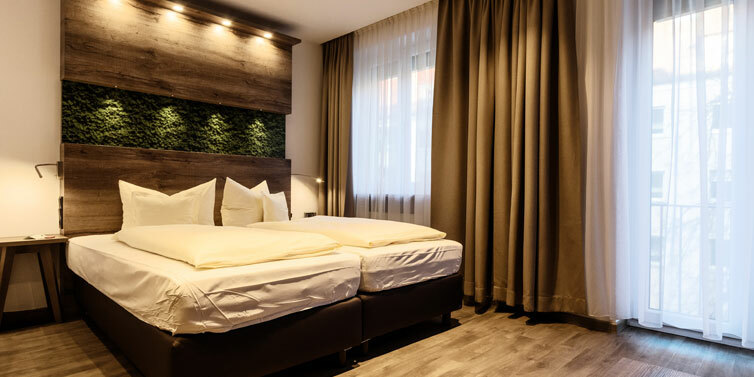 The renovated rooms are decorated with fresh wood optics and have a direct view of the River Main and Marienberg Fortress. 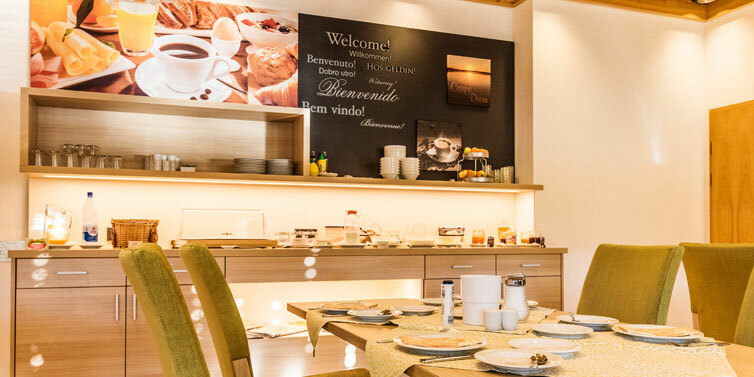 Our breakfast room appears in new splendor with modern furniture and comfortable benches. We look forward to your visit to the hotel, with a perfect central location and wonderful views. See our Hotel and Würzburg on our Video! When you click on play a youtube video starts.